We just brought home a #beautiful, #loving, #sweet, #incredibly smart 8 week old puppy. His name is #hashtag :). Needless to say, we are completely enamored with him. #instantly melted the hearts of everyone in our family. He is full of puppy energy, teething on everything and telling us when he needs something, eating ferociously and doing an amazing job at house training (only 2 small accidents). he plays all the time he is not sleeping and learning new things. for #, everything here is new and he explores it all. i couldn’t help but see the life lessons he is already teaching me. 1. explore everything. # is amazing. there is nothing that he does not see, and he interacts with everything he does see. he plays with everything and everyone. imagine this type of energy in business. what would happen if everyone we met, we interacted with, not in the way of business, but in the way of shear enjoyment. do you think you might get some more business? i sure do. 2. sink your teeth into anything you can. when we take # outside, he sinks his teeth into everything. doesn’t matter what it is, he plays with leaves, branches of a tree, in ground sprinklers, flowers, benches, hands, pant legs, statues, bushes, you name it, if he sees it, he bites into it. i wonder if i were to look at every possibility, every opportunity that enters me wheelhouse, if more would come and business might grow? 3. run and play and then rest. i am amazed at how hard #plays and then how immediately #sleeps. a gentle lesson to me, to play hard, work hard but also to rest and relax. i so often miss this part. 4. fear is crippling, but only until you conquer it. #was scared of steps. he would not go up or down. suddenly, with the help of some treats, #went up stairs. first one, then two then all of them. now he goes up all the time on his own. but going down steps is a lot harder for him. he has made it down 2 steps, but then turns around. the thought of going down all of the steps is too scary now. he can do it, because he has gone down 2 steps, but fear takes over and turns him around. all i can say is i relate to this a lot. fear cripples me in some aspects of my business and personal life too. 5. stop actions that are harmful, reinforce actions that you want. #is so smart, he learns so quickly, but it is partially because of the training we are giving him. when he jumps on the wall of his play pen, we say in a forceful tone “DON’T” then in a more gentle tone “down” then when he is down we say “good down hashtag, #gooddown”. we reinforce the action we want, not dwell on punishing the action we don’t want. i wonder as business people how much we do this? i wonder how much we do it in our relationships, or in raising our kids? it is so easy to just say don’t but never to reinforce the good action. 6. #purelove. 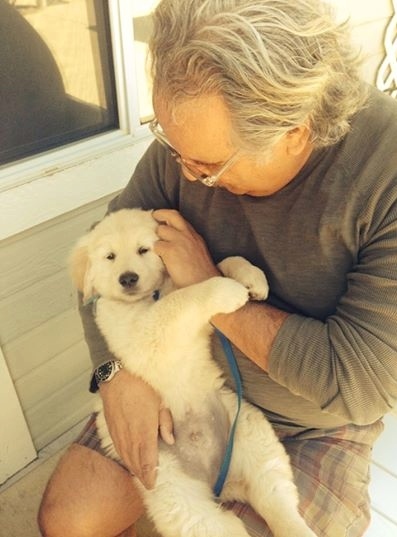 if you do not have a puppy, stop reading this right now and go out and get one. #lol, #gives us so much love, that all we want to do is love him back. it is just his nature to love and everyone who meets him, wants to hold him and love him. he has sure taught me a lesson about giving love completely. 7. #hasnofavorites. he loves everyone without condition. a stranger walks into the house, #loveshim, one of the kids is playing with him and the other one takes him, #loveshim, the person who feeds him and the one that cleans up after him, #lovesthem. #loveseveryone. i know i need to learn this lesson. 8. #forgets the past and lives in the present. if someone scolds him, a moment later he is just as kind to them as the one who did not scold him. #carries no memories. how free this must feel. i wouldn’t know. not yet at least. 9. #adaptable. he left everything he knew, his mom, his dad, his home, his brothers and sisters and came with strangers to their home. never once did he say this isn’t fair. never once did he complain. never once did he feel abandoned. instead, he made the best of it, created a new family around him. loved and trusted everyone and became completely happy immediately. the way of happiness is adaptability. as buddha said, suffering comes from wanting things to be different. happiness comes from accepting what is. 10. #no expectations. i have no idea what lesson #10 will be or the thousands more that will come after that, but like hashtag, i will keep my eyes open, sink my teeth into everything, play hard and then take care of myself and rest, realize how crippling fear is, reinforce good behaviors, be pure love, have no favorites, become adaptable and no have expectations. i bet this will help me in more ways than i could ever know. 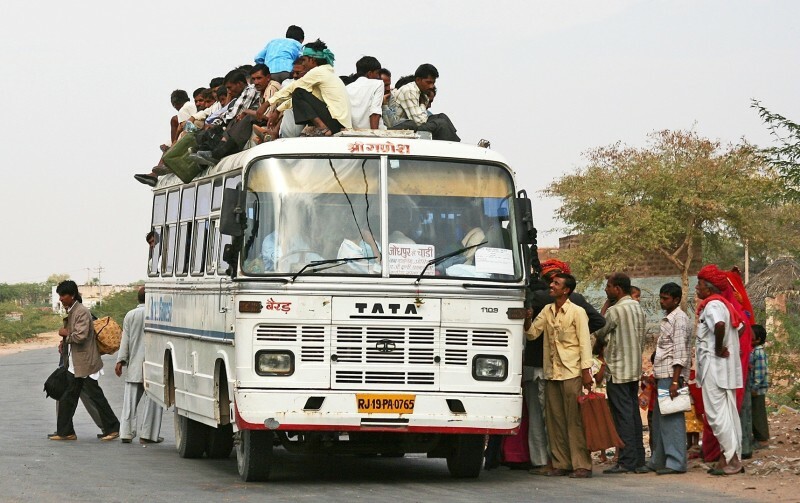 I heard a story about a bus in India driving along a road that was destroyed during the war. The driver trying his best to make the ride as smooth as possible was zig zagging to avoid big potholes. He was doing well until, he zigged instead of zagged and went right into the center of a big pothole. Try as he might, he could not get out. So, he asked everyone on the bus to get off and push. One, two, three minutes later, the bus had moved back and forth, but was still caught in the hole. The driver got off the bus to see what was happening. When he did, he started laughing . . . .
Much to his surprise, half of the people were pushing from the front, while the other half were pushing from the back. No wonder, the bus was still stuck. To me, this story was unbelievable. How could people do that? Didn’t they see what they were doing? It was funny in a sad sort of way. How could people be so unaware? It was crazy to me, until . . . . . . I REALIZED I DO THE SAME THING ALL THE TIME!!!!! Are you like me at all? Have you ever decided to do something and then only give it half of your energy? If so, you and I are just like that bus in India. CAN YOU IMAGINE HOW LIFE WOULD BE, if you put all of our energy in one direction? Can you see what would be possible? In the work I do, whether it is with individuals, families, businesses or corporations, I find this bus story exists in almost every case. Is it any wonder people are stuck where they are? Take a look at your life, and see if there is one area where you feel stuck. Go to that place, sit with it. Sit in it. Watch the tendency to run away from it, but instead of running, be with it. Look at the energies you bring that are wanting to push forward, to accomplish the task in front of you. Introduce yourself to these people (within yourself). And then walk to the other side of the bus, and sit with those who want to stop you from going forward. Talk with them, meet them, understand them. How are they trying to help you? What job have you given them to do that they are doing in service of you, to help you. Thank them. Both sides of the bus. Bring them all together now. Introduce them to each other and let them become friends. They have all been trying to do the same job. They have all been trying to help you. If you are like me, the message you are giving them is confused. Part of you wants to change and part of you is scared to do so. Give them now a new direction. Let each one play a part in helping you achieve a new goal. WHEN ALL OF OUR ENERGIES GO IN THE SAME DIRECTION, THINGS THAT WERE ONcE UNATTAINABLE BECOME EASY TO ATTAIN. Whether in our personal lives, our marriages, our families, our friendships, our businesses, our finances, our corporations, our government, our spirituality. Everything from this place becomes attainable if we put out enough energy to find a way to make it happen. Can you imagine being stuck now? Please share your thoughts . . . .